This shoot is near and dear to my heart because it was my first time photographing a proposal! When Jack called me and said he wanted to propose to Michele next to the Brooklyn Bridge I almost fell out of my chair from excitement. 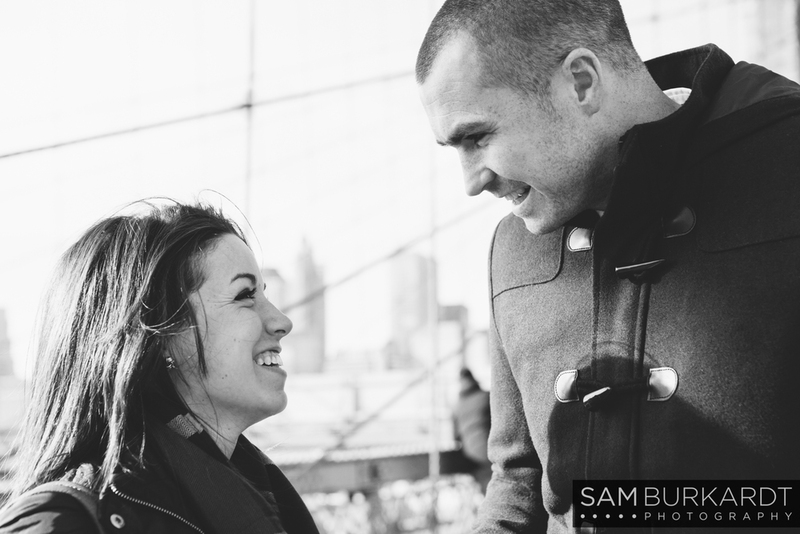 I had always wanted to do a proposal shoot with the beautiful Brooklyn Bridge backdrop and a gorgeous young couple. I had the 007 theme music playing in my head the day we set out to surprise Michele. 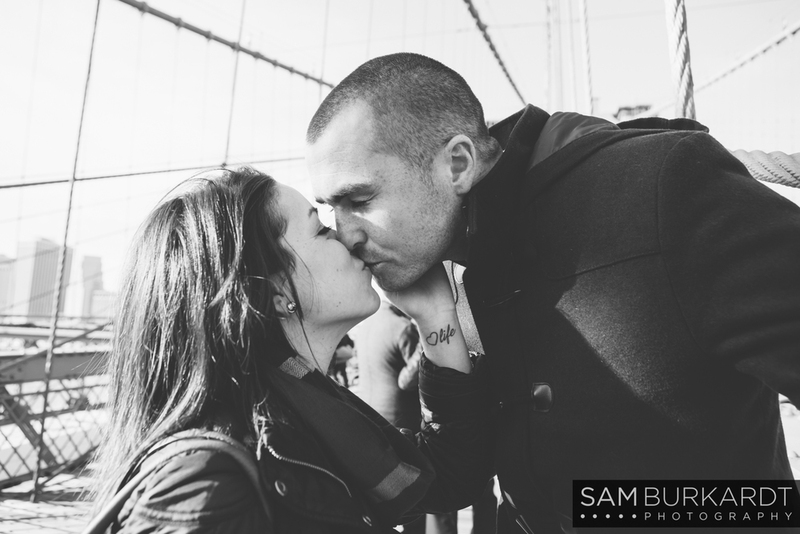 It's relatively easy to hide in New York City for proposal shoots because of all the other tourists with cameras, so his plan went off without a hitch! Michele was over the moon with the way Jack handled all the details of the proposal. 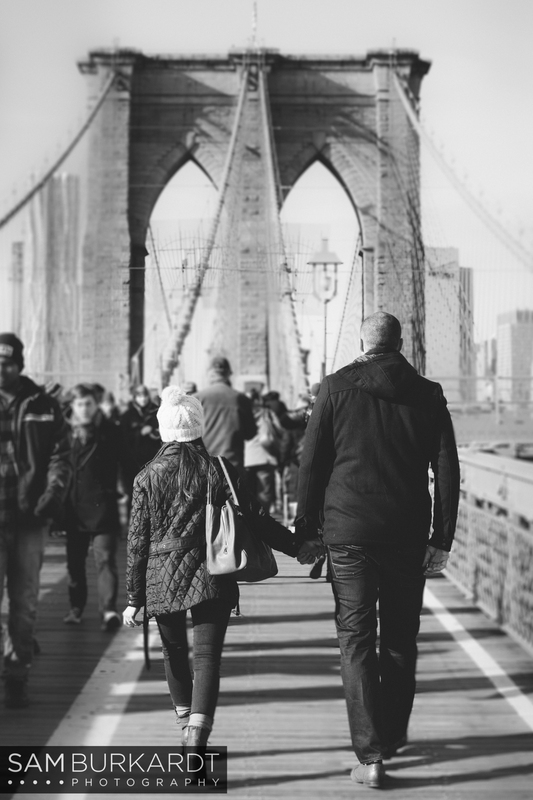 They hung a special lock on The Brooklyn Bridge that Jack had engraved which said, "Will You Marry Me?" on the front and their initials on the back which was such a lovely touch. Jack also made sure Michele had her nails done (which she requested of him to tell her to do before he decided to propose). I'm thrilled that you both had me photograph this beautiful moment in your lives and really look forward to seeing your marriage flourish over the years.